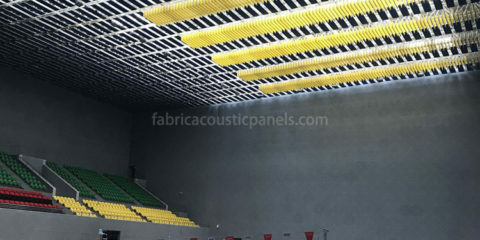 Hanging acoustic baffles system is a unique ceiling suspension baffle acoustics solution for reverberant noise problems. Superior sound absorption levels can be achieved with acoustic baffles ceiling. 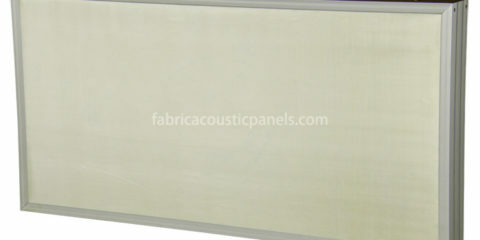 Acoustic cloud panel is also an attractive and unique solution for reverberant noise problems on the ceiling. 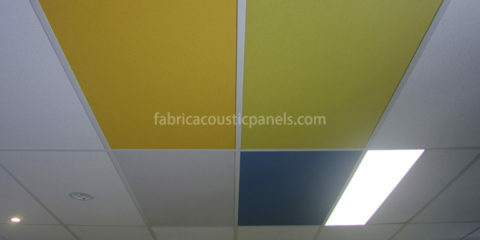 The difference between acoustical baffles and acoustic clouds are mainly installation directions. 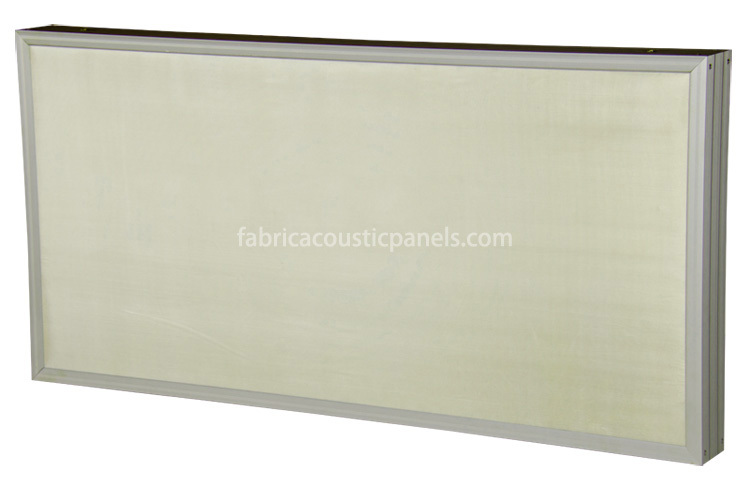 The attractive hanging acoustical baffles are made of 50mm thick fiberglass sheets faced in fabrics from our color chart or customers. Usually it’s installed vertically. 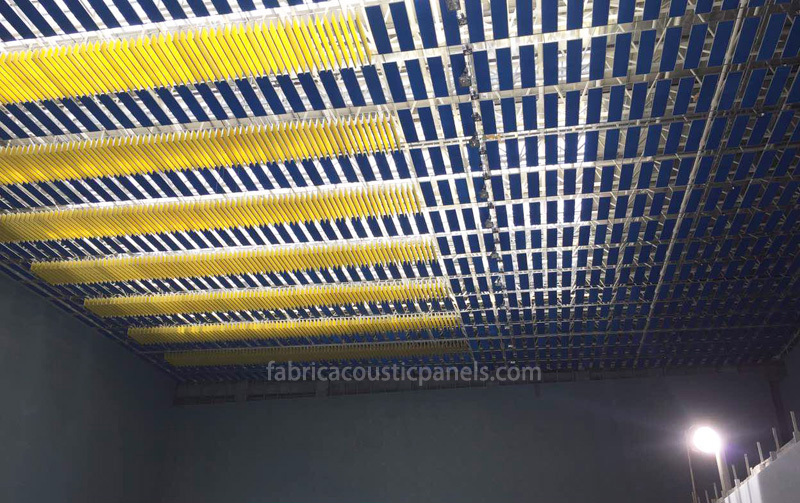 If the place is too low for vertical suspended acoustic baffles installations, horizontal installation is also possible which is also called acoustic cloud. Cloud panels can also be used to illuminate the backlight with low voltage to achieve dramatic effects. 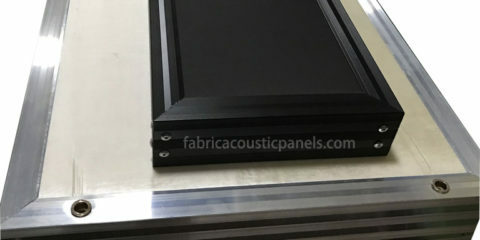 Standard sizes of acoustic sound baffles are 600x600mm, and 600x1200mm. Panel size can be customized. 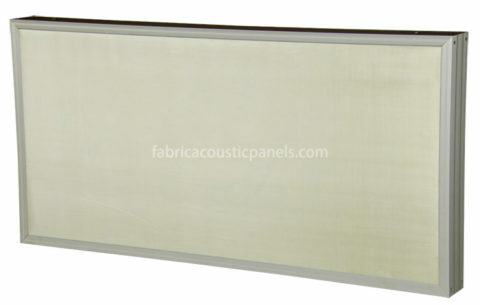 Acoustic ceiling baffles are vertical suspension of the sound cloud panel, wrapped in fabric. NRC: The suspension of the panel will increase the sound absorption coefficient. Places that requires excellent acoustic performance. Our recommendation: expansion screw and steel rope.